A new report published by Drone Wars UK reveals that over the last five years the number of countries actively using armed drones has quadrupled. 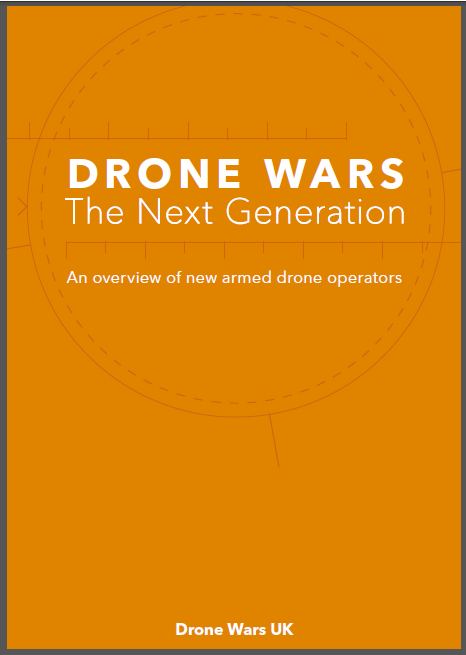 Drone Wars: The Next Generation demonstrates that from just three states (US, UK and Israel) in 2013, there are now a further nine who have deployed armed drones in a variety of roles including for armed conflict and counter-terror operations. The report also shows that a further nine states are very close to having armed drone capabilities, almost doubling the number of existing users. To this number, we have added five non-state actors who have used armed drones, which will take the number of active operators of armed drones to over 25 in the next few years. This entry was posted in air wars, arms and weapons, drones and tagged Drone Wars UK, drones by Derek Gregory. Bookmark the permalink.